into the world!!! Next post we will tell you her name! Awww congrats to your family!! How exciting! yay! congratulations. can't wait to hear the name you've chosen! Congrats! I was wrong! 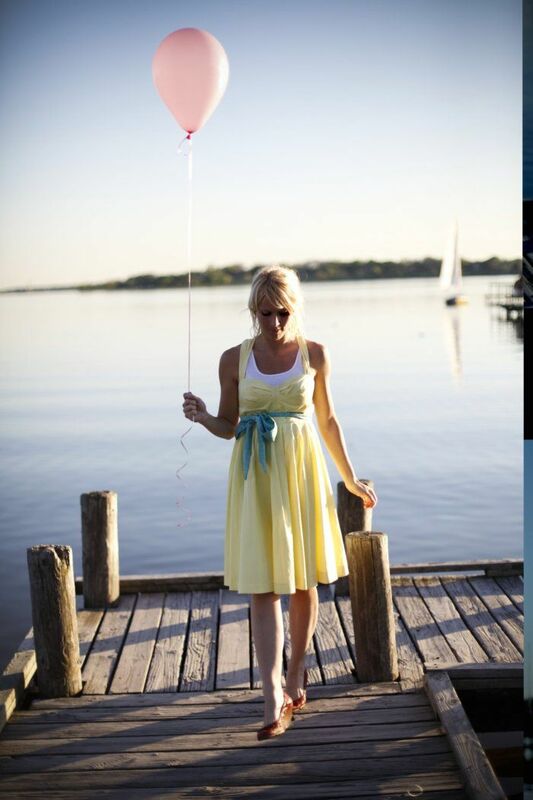 I loved the little moving photo where you set the blue balloon free--I'm sure your creative hubby/movie man did that! How exciting!!! Congratulations, mama! So happy for you! Hugs! Aww congrats! We are expecting our second little girl too. Our's is due on September 6th. Yay!! So excited for you all!!! Congrats!!! That is so exciting! Can't wait to hear the name. i love this! congrats on a sweet baby girl! Congrats girl! Im so excited for you guys. I'll have to email you later to send this little girl a blanket. Awww, congratulations to you and your beautiful growing family :) What a sweet blessing she will be. So happy for you!! I love the balloon idea, too cute. I said boy but I knew it was a girl! oh man, i was soooo wrong on the guess. but, so happy for the little girl! that is one lucky girl. Soooo exciting...now to get busy on another girl sock monkey! Congrats that's amazing !!!! God is great ! Congrats!!! I love these shots, so clever. I'm looking forward to lots of baby girl photos! love how you announced it! keeping you and baby in our thoughts and prayers, friend. Have a happy easter. Oh my goodness!! A new little girl!! Casey, that is so exciting! YAY!!! So excited for you :) girls are so precious. what a creative way to reveal the gender! Yay! Congrats! So excited for you and your sweet little fam! Congrats! To you and to your growing family. casey i'm so excited for you! aiden and ains are going to be awesome sibs for the new princess in town. LOVE that picture of you letting the blue balloon go! :-) SOOO happy for you, friend! Congratulations! So exciting! I'll be praying for you an amazing and healthy pregnancy with your new baby girl! Congratulations!! That is one blessed little girl coming into a world with a whole lotta love! God Bless! CONGRATS - i guessed girl! can't wait to find out her name, it will no doubt be adorable like your other sweet kiddos. Yah! Congratulations :) I can't wait to hear the name! Congrats! :) Love it. So happy for you guys. Another sweet girl. YAY! Yayyyyyyy!! So happy for you and your family :). Having a sister is awesome- I'm sure Ainsleigh will love it ;). Congatulations!!! Sending lots of love and blessings your way! Congratulations! So excited for you and your family. I have a boy and then 2 girls that are 19 months apart. They are best buds (most of the time):). My hope is that they will be close and have that person rooting for them always. Love your pictures. Happy Easter! These pictures are so cute! I love the pink balloon/blue balloon idea. Congrats!! I'm sure she'll be the sweetest little baby girl!! What I am really wondering...was the doctor right about the guess this time, like Ains and Aiden?? Yay! So happy for you!!! Girls are wonderful! I have 3 myself! Congrats! Yay, baby girl! (that's what I guessed!). Congrats to you and your beautiful family! Congratulations, that is so awesome! I am just loving getting to know your blog!! - How did you do that with the balloons??!! you have the most awesome.est pictures ever! love them all! Congrats!! Beautiful way to announce!